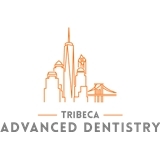 Tribeca Advanced Dentistry (New York) - Book Appointment Online! Tribeca Advanced Dentistry is a team of highly-trained dental specialists excelling in providing complex restorative and aesthetic dental care such as All-on-4, smile rejuvenation, placing multiple implants. But we also do simple things well: dental cleanings, checkups, fillings, whitenings, invisalign and many others. Excellent dentist with great bedside manners . I had to have a broken tooth fixed which also had discoloration . She certainly has an easy hand as I had no discomfort and results look great! Dr. Kathy was so gentle with Sophia. Sophia can be a handful sometimes, but Dr. Kathy put her at ease. She makes going to the dentist a breeze! Her office is very modern and sleek, and the hygienist who worked with me was lovely.